Sally Rushmore is a former teacher who is Managing Editor of the New Teacher Advocate. She also works with the Job Search Academy and New Teacher Community in KDP Global. If you are an education major who will be returning to college in the fall or you are a new graduate looking for a teaching job, this summer is the perfect time to beef up your résumé and really learn of your interests (and what you don’t want to do) in education.You may discover you love working with 1st and 2nd graders but really don’t want to work with 5th graders! Summer camps: Churches, YMCA’s, 4-H, Boy and Girl Scouts, and all types of organizations have summer camp experiences for kids. You can choose the type of camp and the age of the kids. 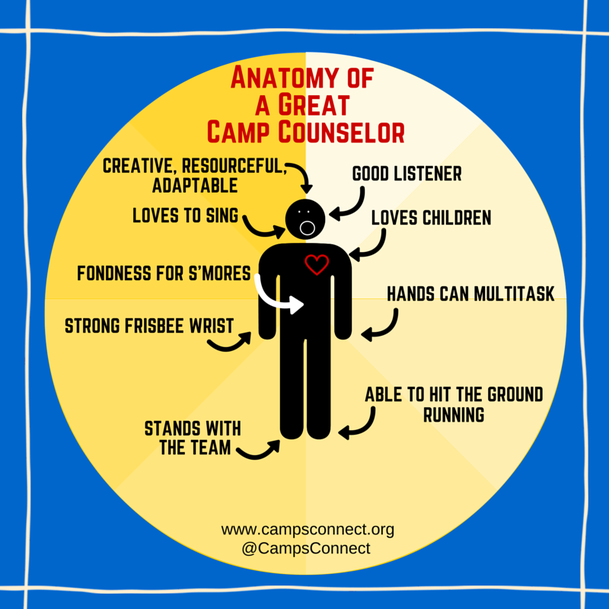 Be a counselor and/or offer to teach a class, teach crafts, or even teach something more active like hiking, geocaching, horseback riding, or swimming if you are qualified. Tutoring: Many of the tutoring companies (for example Sylvan) offer summer catch-up or keep-up type of tutoring that is more intense. Find out how you can become involved. Hospitals: Children’s hospitals can use volunteers (and sometimes will pay) to play with and read to sick children. Zoos: Most zoos offer education programs where you could do a summer internship. Museums, Nature Sites, and Historical Sites: All types of museums, nature sites, and historical sites have programs to train and use college and high school students to work with visiting families or to offer special experiences for children. State Department of Education: Some states offer summer jobs or internships. State Fairs: Many state fairs are in production throughout the summer and hire college students to write hands-on programming or curriculum for young visitors. Parks: Nearly all parks or park and recreation departments offer intense summer programming for kids (preK̵–6 or 8) with everything from day camp to swimming lessons to skateboarding instruction to exercise classes to craft classes. Look for the opportunity to teach or be with kids part of the day and work in the fitness center or lifeguard part of the day if you like variety. Libraries: Another place to volunteer or work part or full time is your public library. Most offer some programming along with duties at a desk, shelving books, cataloging books, or even doing some cleaning chores. U-Picks, Pumpkin Patches, and Orchards: Many of these are now open all summer and have weekend activities that include activities for children you can plan and implement and supervise. During the week, you may work a cash register, pick fruits and vegetables, or any number of chores. Sewing, Craft, and Computer stores: Many stores now offer classes (for example, Michael’s) for kids and adults and even kid/adult combinations. You may be qualified to teach one, but they can usually use an extra person to help and will hire you to put out merchandise or operate a cash register when you are not working a class. Ask everyone you know: You might be surprised! A friend of a friend may have her own company giving birthday parties and need a helper. Or a friend of your mom may work with autistic children and know that her company is looking for extra help in the summer. Don’t be afraid to try something new! Look on http://www.indeed.com, http://www.monster.com, and the websites of various companies and nonprofits (Google the nonprofit job site for your area too) to find “summer job” or “summer intern” or “seasonal.” Many of these jobs are filled in March and April, so if you find something you’d like to do, remember to ask when to apply next year and put it on your calendar. Then keep looking for something for this summer. Even if you end up working at the neighborhood ice cream store, you can become a dependable employee and maybe even manage another couple of employees by the end of the summer. That’s great experience for classroom management! Whatever you do this summer, put it on your résumé right away! And don’t just list it. Think about how you are impacting others through this job. Whether it was/is educational or not, how did you educate or influence someone? Think of two or three bullet points you can create to show what you learned or how you “educated” others. Remember education is far more than standing in front of people telling them what to do. It can be guiding, encouraging, planning, organizing, designing programs/curriculum, writing or planning lessons, inspiring, demonstrating, taking responsibility for a certain number of children, and so much more! When you do these types of jobs in the summer and volunteer or work part-time in such positions through the school year, you are creating experience and using your education and your experience in KDP to show real job experience before you ever apply for a teaching job. This is how you can set yourself apart from other applicants and have real experiences to relate as you answer interview questions. By the way, share in the comments what you’ve found for a summer job and how it is helping you become a better teacher!